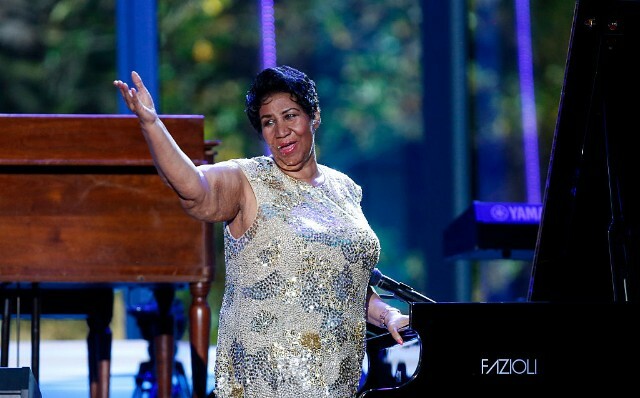 Aretha Franklin’s funeral is scheduled to be held at the Greater Grace Temple in Detroit on Friday, August 31, and a lineup of 19 performers has been confirmed by the late singer’s publicist, Detroit Free Press reports. The list consists of friends and family of Franklin’s. Stevie Wonder, Chaka Khan, Jennifer Hudson (who will portray Franklin in an upcoming biopic announced months prior to her passing), Faith Hill, Ronald Isley, and Fantasia are among the names scheduled to perform. At this point, the funeral is expected to be private, with a public open-casket viewing at Detroit’s Charles H. Wright Museum of African American History scheduled for earlier that week. A free, star-studded memorial concert in the city’s Chene Park will be held the day before the funeral; a possible 23-act lineup—featuring Gladys Knight, The Four Tops, and more—was leaked yesterday. Franklin died in Detroit on August 16. See the list of artists expected to perform at Franklin’s funeral below.